Ally: Thanks so much for your patience with us (assuming you actually miss us…). L-A is in the midst of completing a move across the country (or to Ontario, which is like, super far) and I’m integrating a new child into our family mix (fancy words for, “I went and made a baby”). We’ll be back to your regularly scheduled programming soon enough. Until then, I’d like to share some things that I’ve found on the Internet which have brought me endless amounts of amusement! 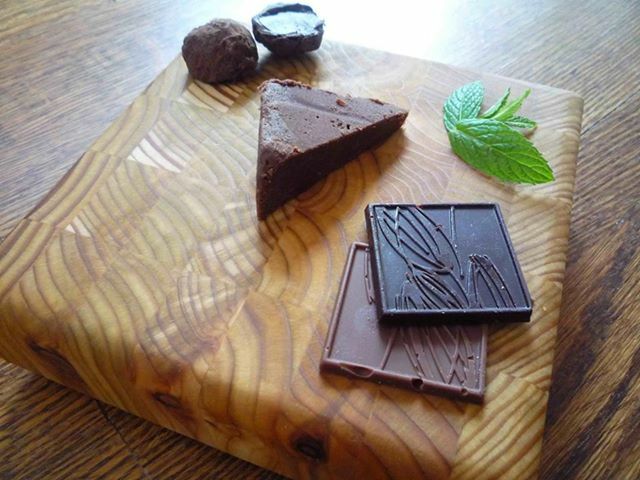 Obladee Wine Bar is now offering a chocolate board. It includes three locally produced chocolate treats: Gourmandises Truffle, Little Red Kitsch’n Chocolate Goat’s milk Fudge & Cocoa & Honey chocolate tablets. I’m just hoping Obladee is a baby-friendly establishment, because that’s where I plan to host Baby V’s first play date. Blue Ivy would approve. My friend Stacey sent this link through to me this week and it completely cracked me up. Some intelligent mom found a way express her fashion desires for her daughter through the World Wide Web at zero the cost. Seriously, people, who has the time/money to dress their kid like a Paltrow/Martin seven days a week? This way you can search for outfits, perhaps even show your kid, and then send them outside to play in their Walmart attire. Win/win! My daughter will totally have that hat. And likely those flats. Source Please check out more images and hilarious captions at My Imaginary Well-Dressed Toddler. Hours of fun. Sometimes we get sad. That’s normal. It’s also normal to cheer yourself up by spending some time gazing at Leo D in motion. That’s ok, no need for thanks, I love you too. It’s been a while since I’ve given you the Crappy Pop Video of the Week. You’re going to have to wait even longer, because this offering from Miley Cyrus might be the best piece of pop-art we’ve seen in our lifetime. Don’t disrespect my education on this matter, I’ve spent more time than your mother watching N’Sync and Selena Gomez videos. I also don’t care if that last sentence made none of the sense. I need that “Dope” shirt/bodysuit she is wearing near the end. No, I wouldn’t wear it, I would just frame it for my office. Where was twerking when I was in my twenties. Holy missing out, Batman. You have just made my day with Cocoa & Honey; I’m gonna visit them tomorrow!